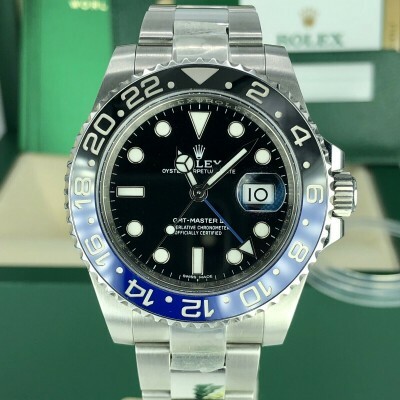 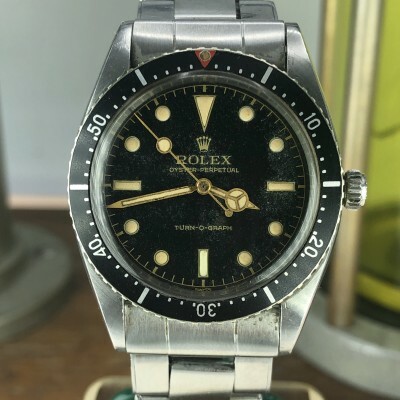 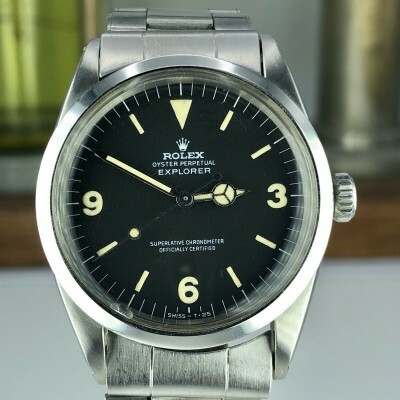 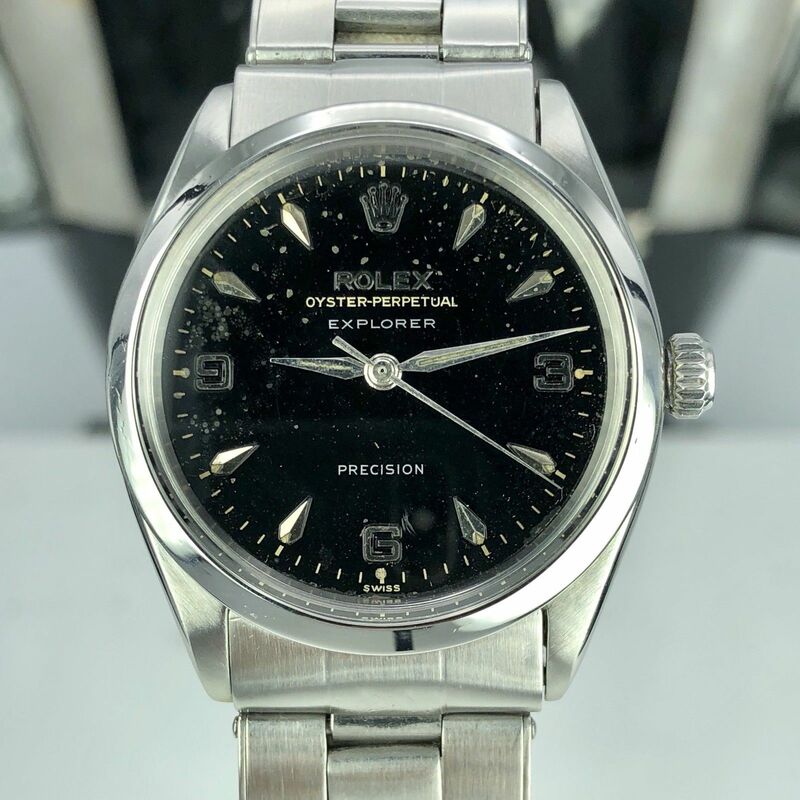 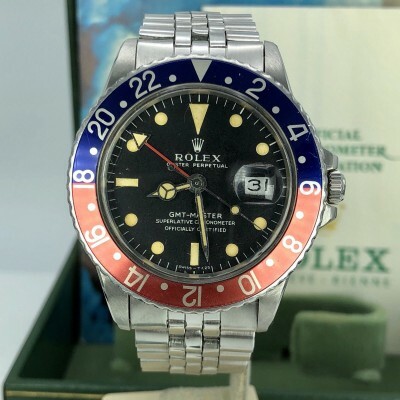 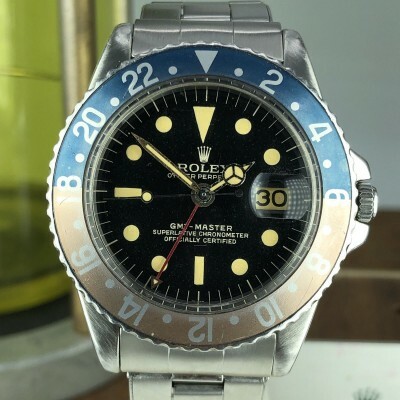 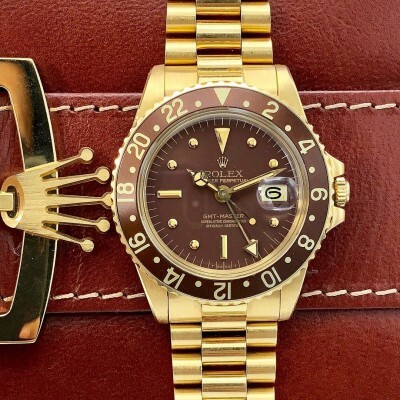 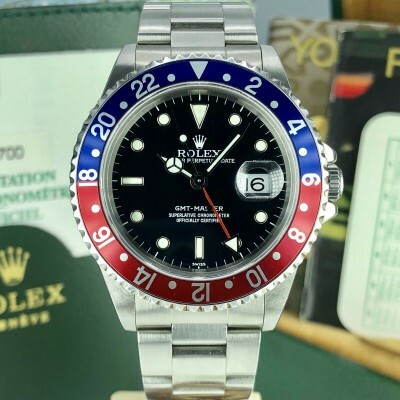 a Very Rare Rolex Explorer. 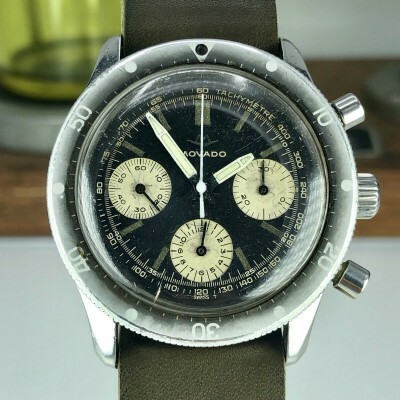 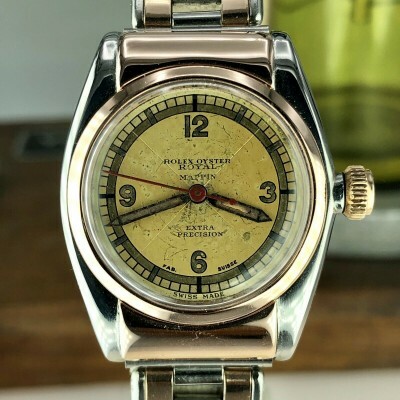 This example has one of the coolest original dials I’ve ever seen. 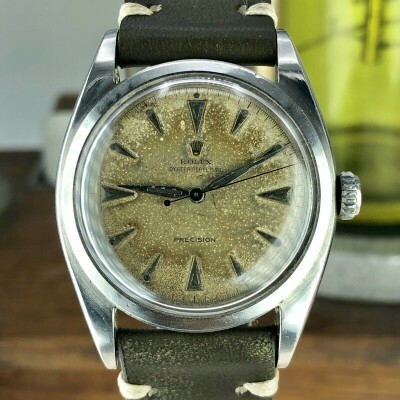 Stunning patina, lovely gilt and clear printing. 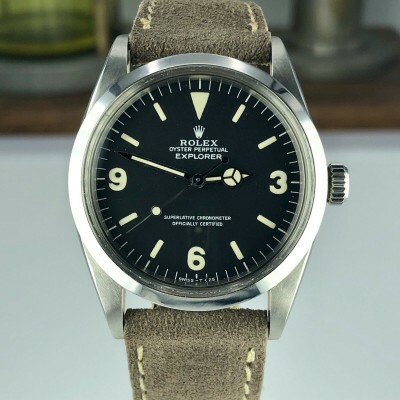 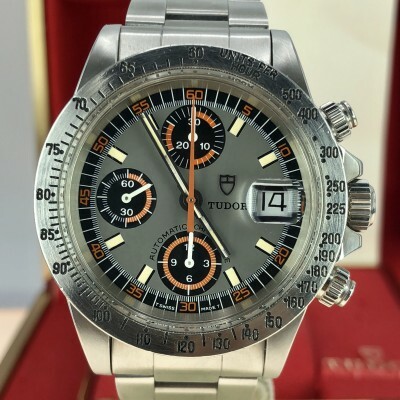 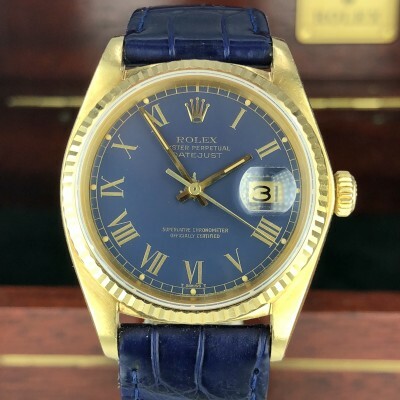 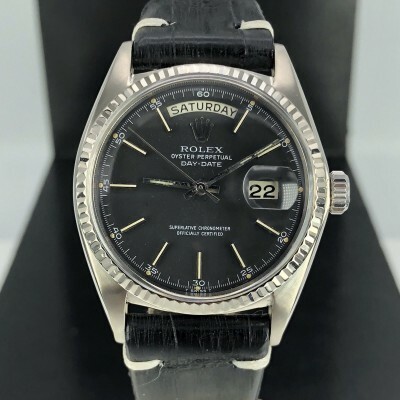 This Explorer Dial is one of the rarest Dial. 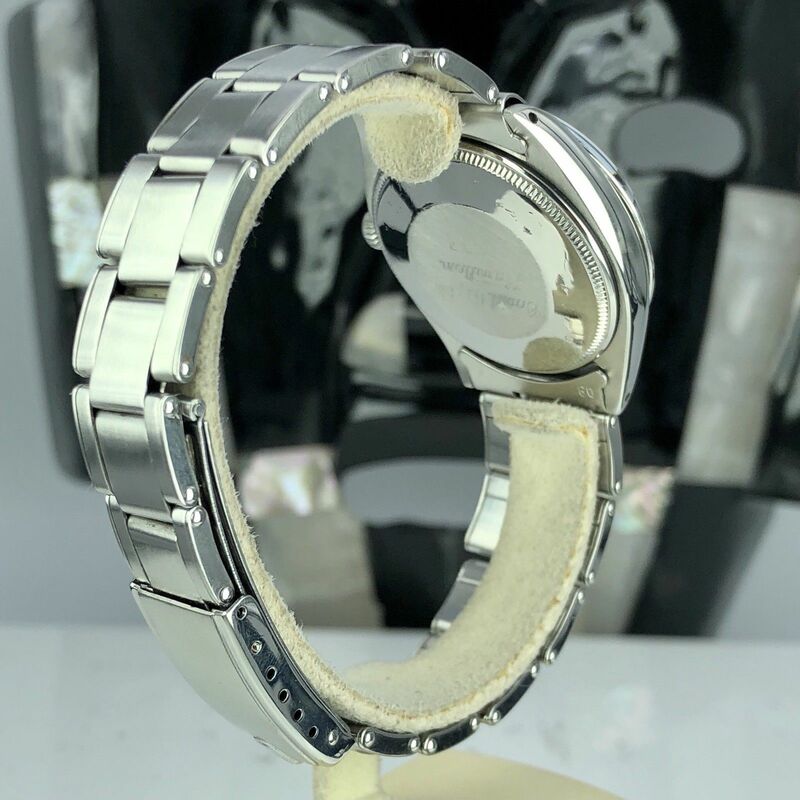 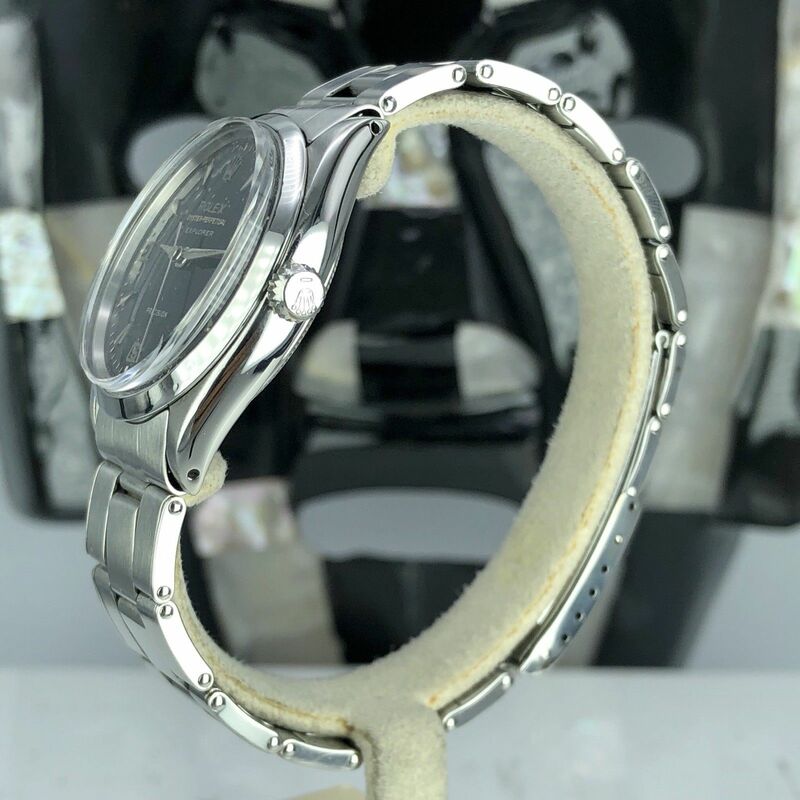 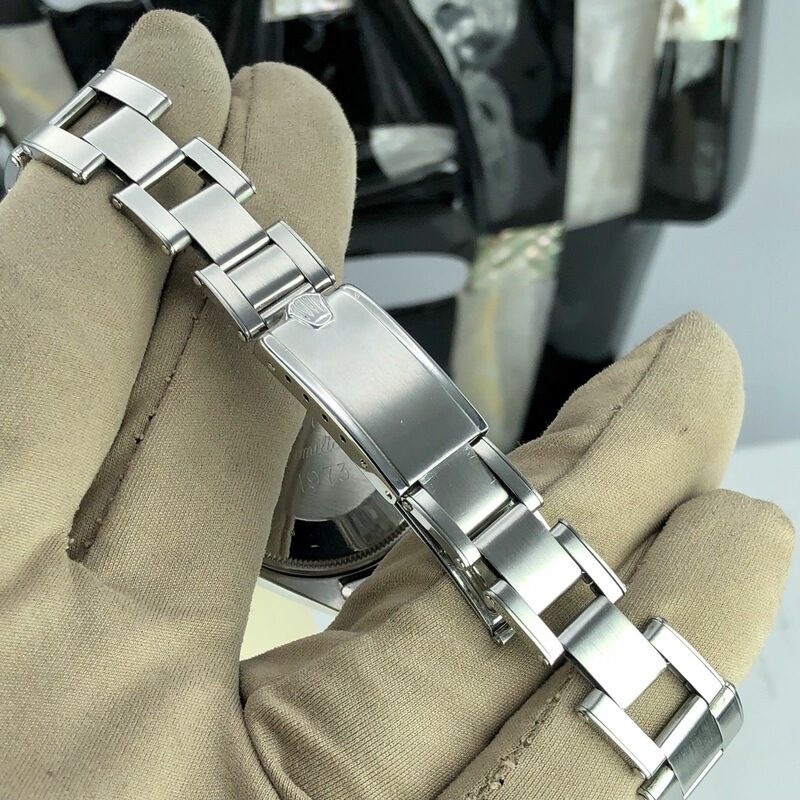 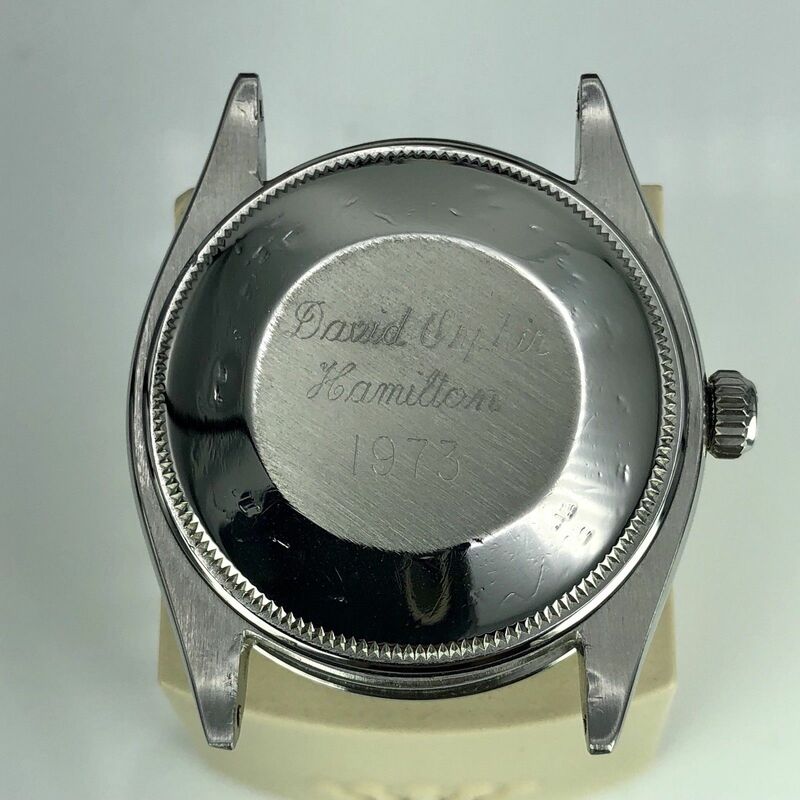 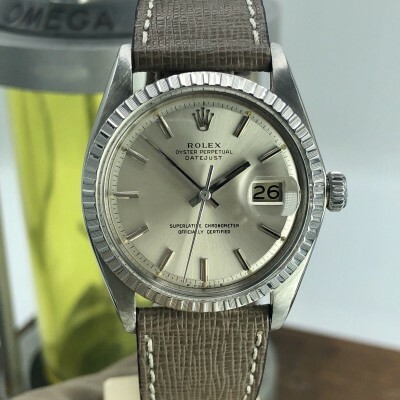 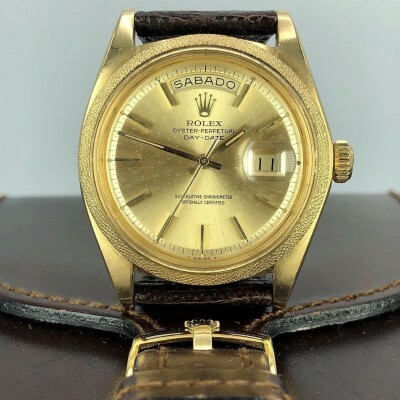 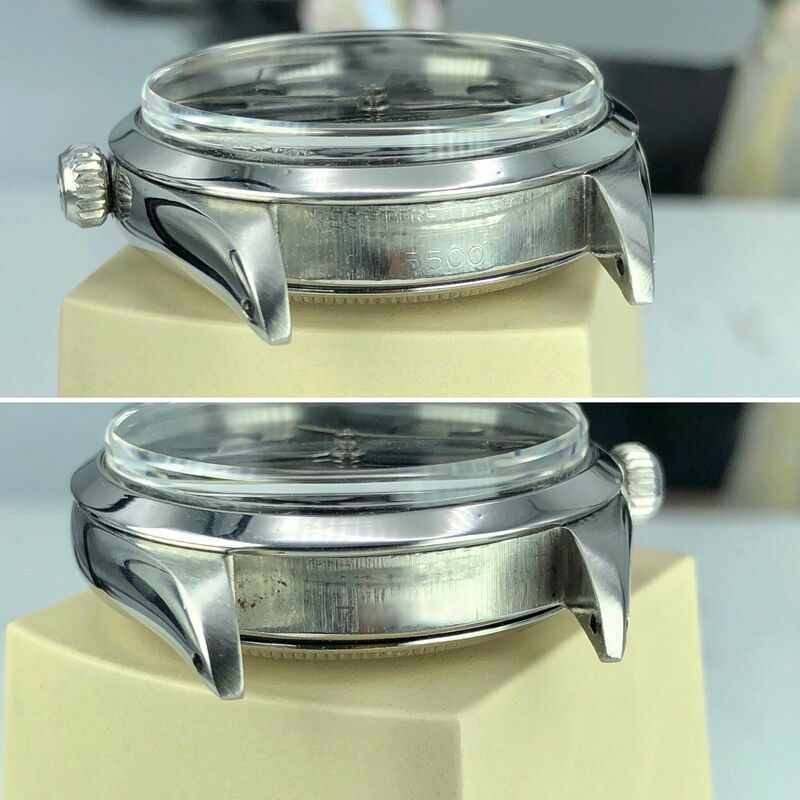 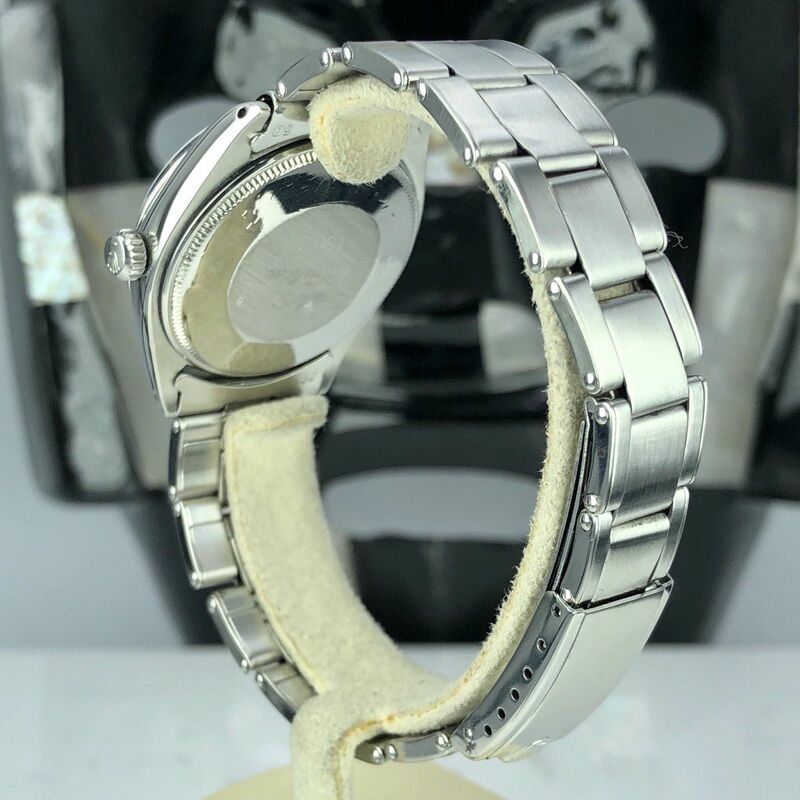 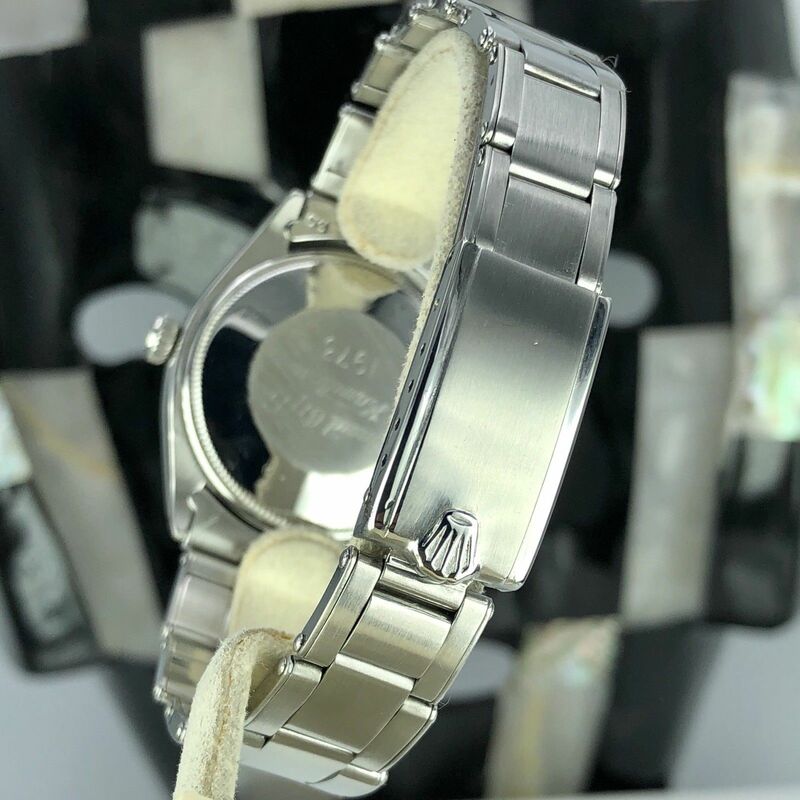 Case and Bracelet : Serial number in 7XXXXX 1962 , 34mm Very Good case that has recently been polished and has very light wear from use. 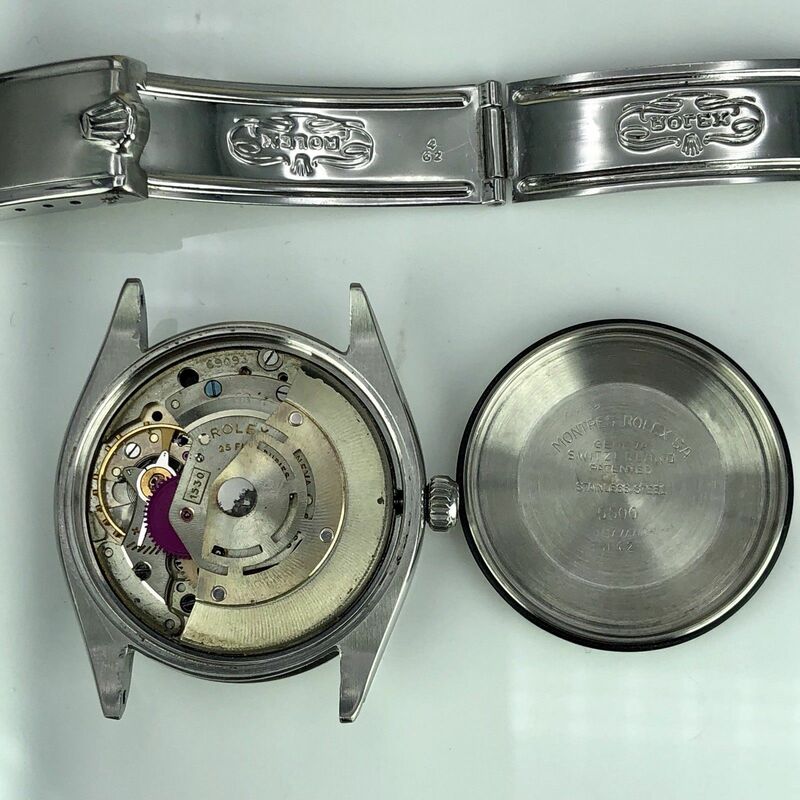 Caseback is stamped: 5500 II.1962 and it has engraving. 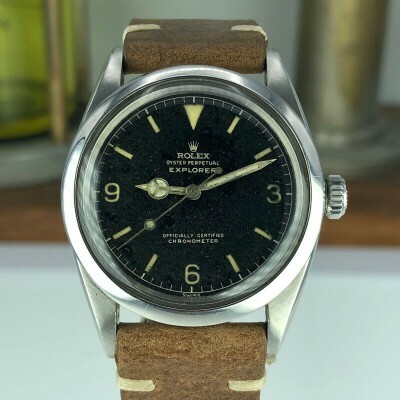 Original bracelet (extended model) dated 1962. 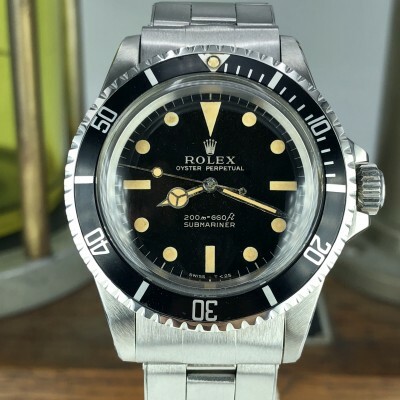 Dial and hands: Original untouched and Very Good glossy black gilt Swiss only dial. 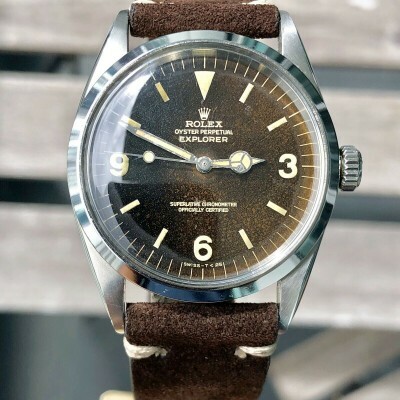 The glossy finish is aging to matte. 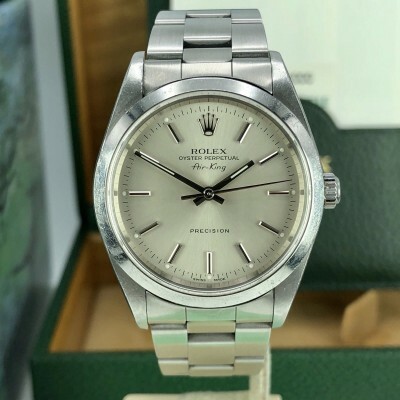 and has some dots as you can see in the pictures, Comes with original White Gold dauphine hands and arrowhead markers. 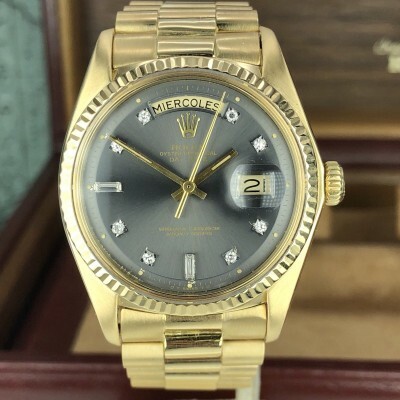 Movement: Original C.O.S.C. 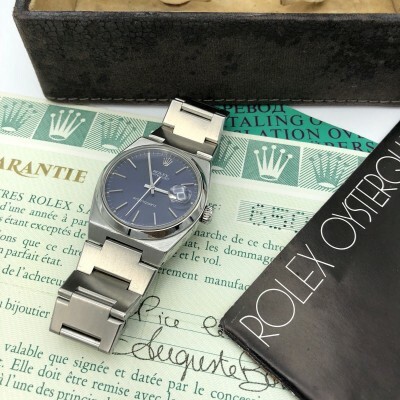 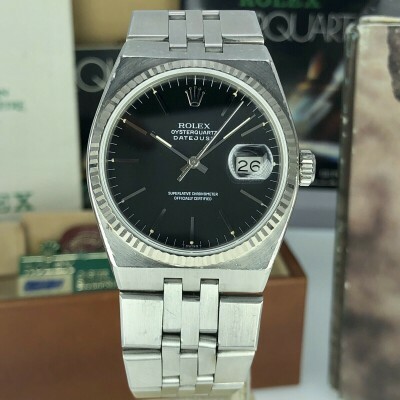 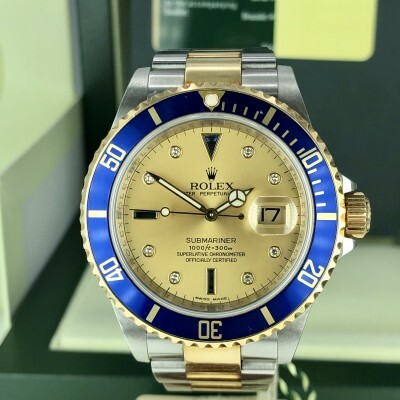 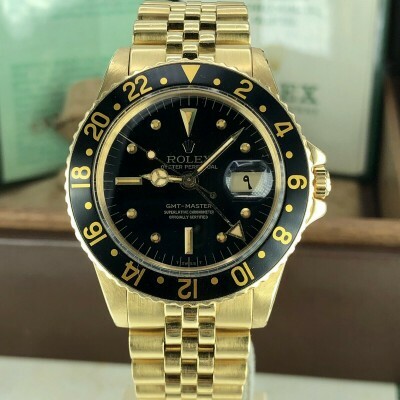 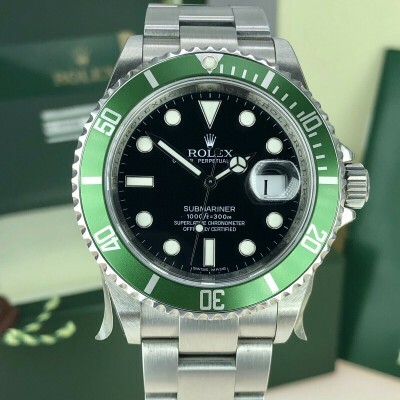 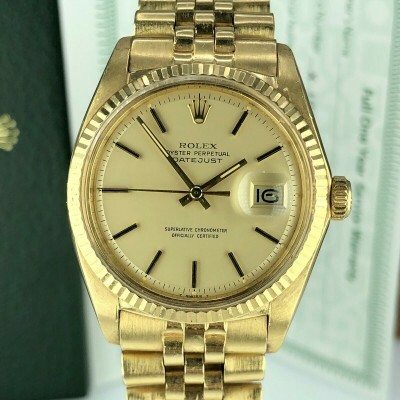 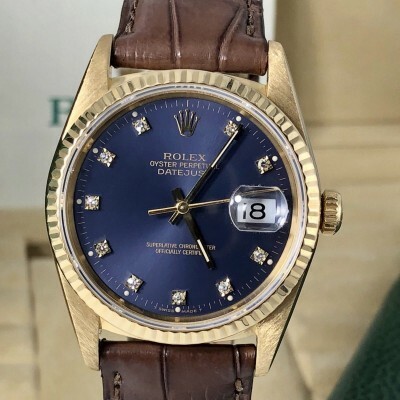 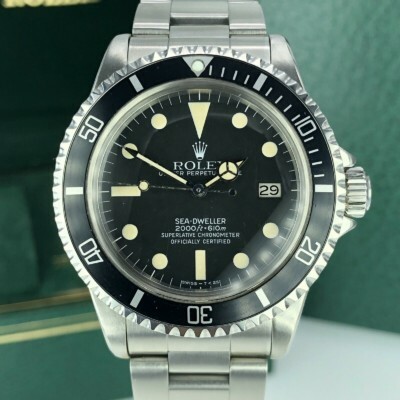 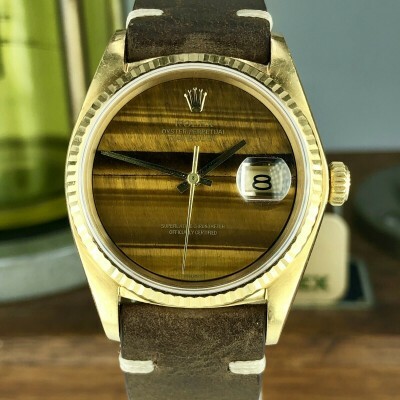 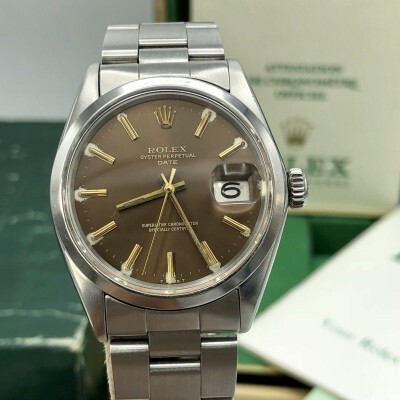 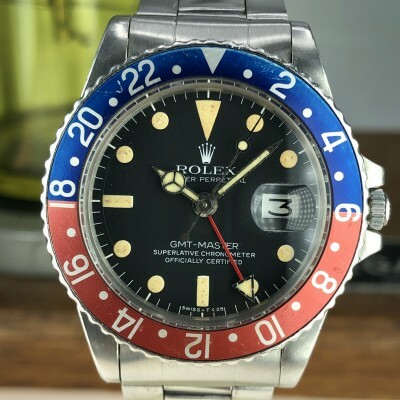 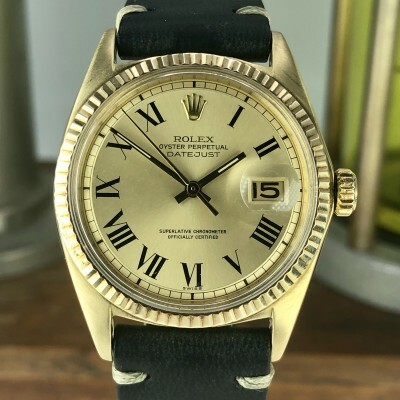 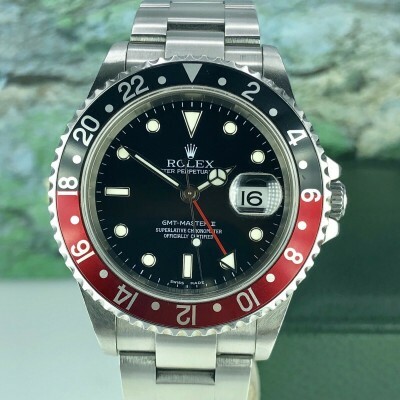 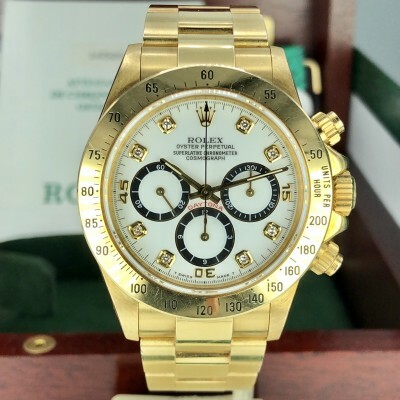 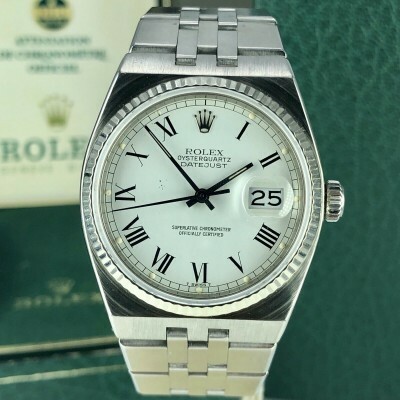 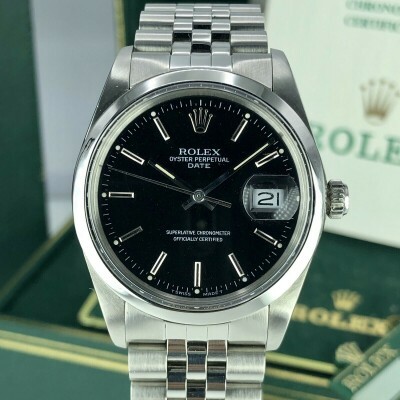 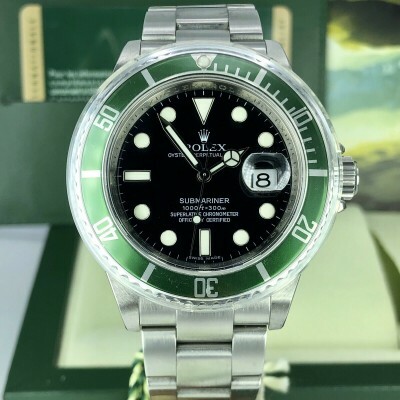 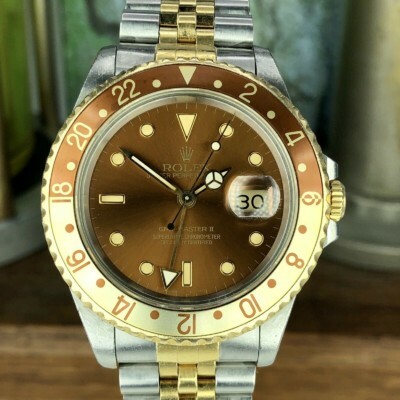 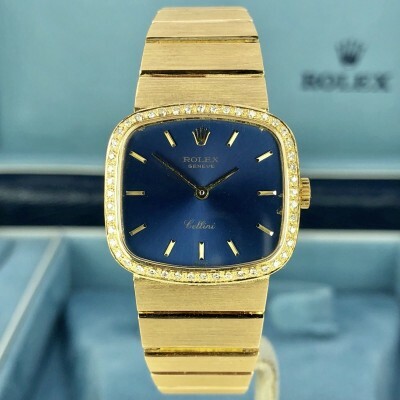 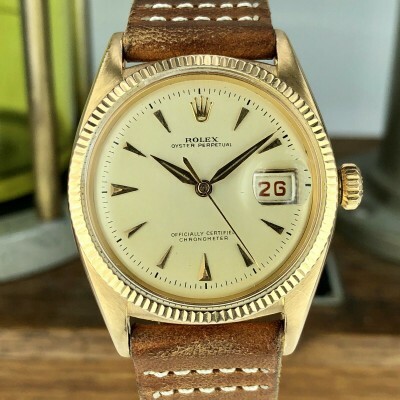 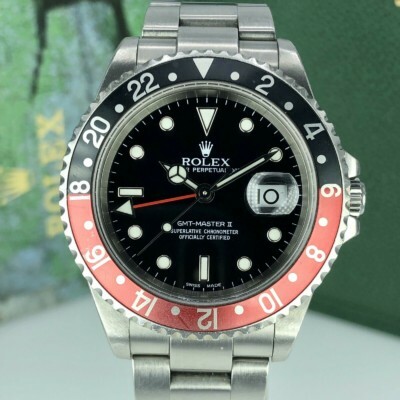 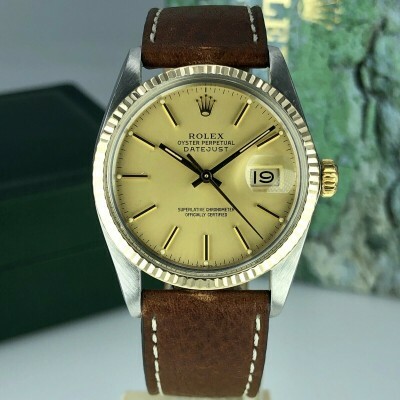 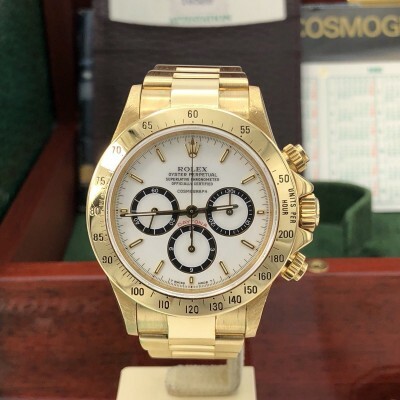 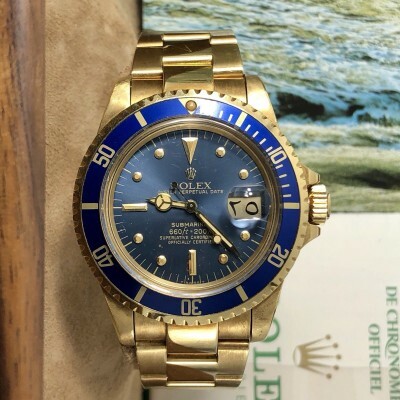 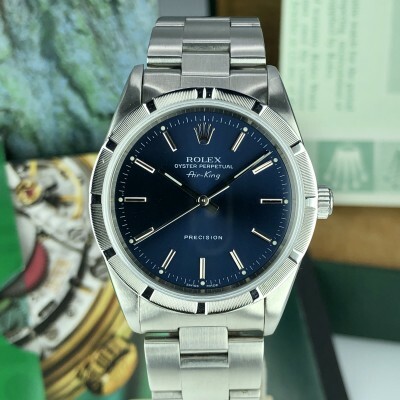 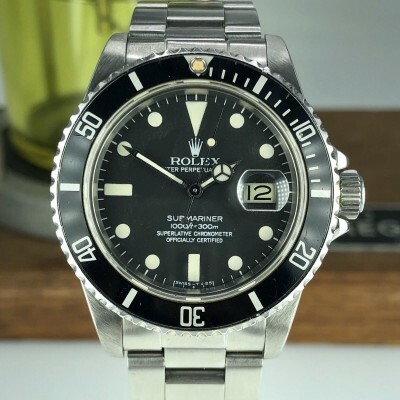 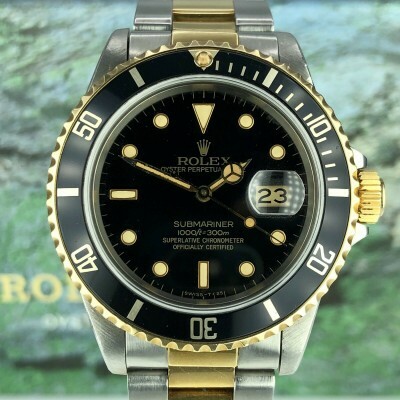 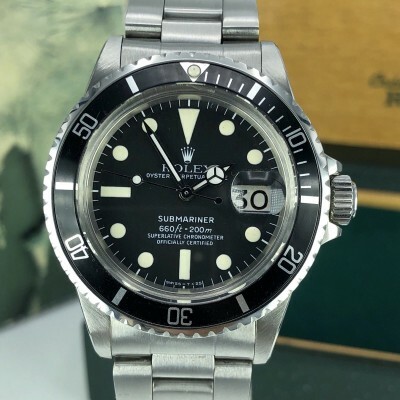 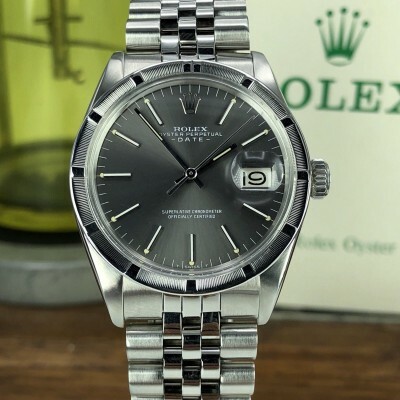 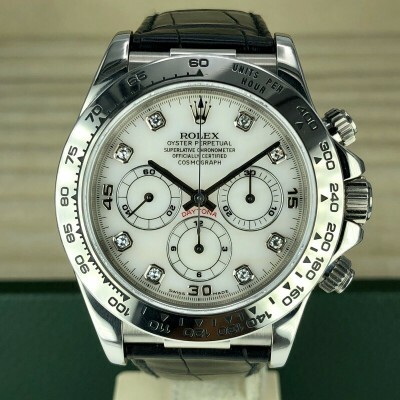 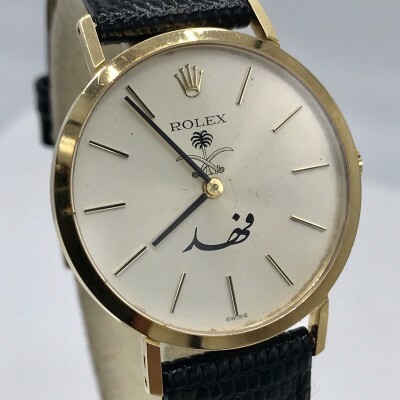 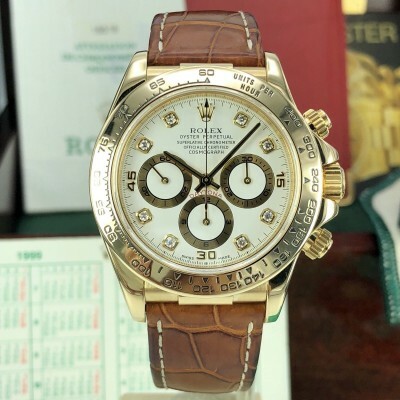 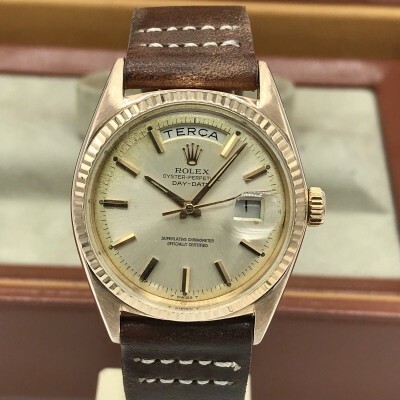 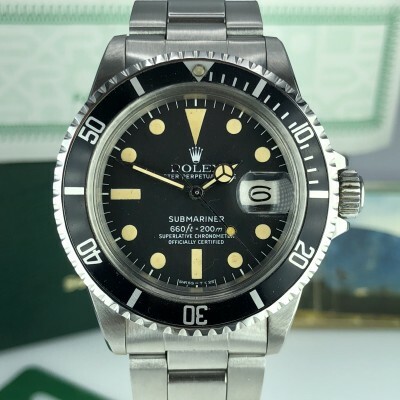 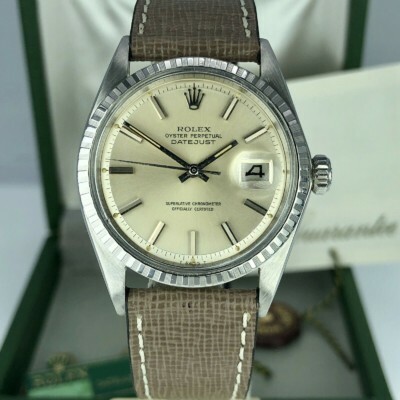 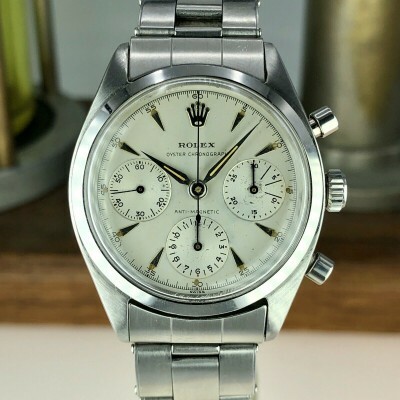 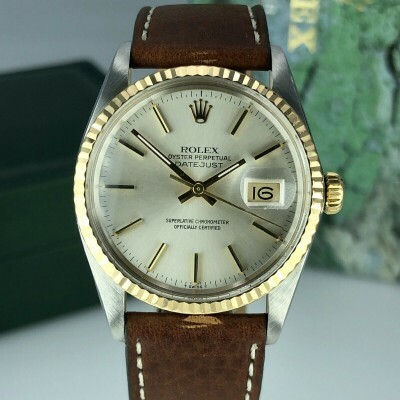 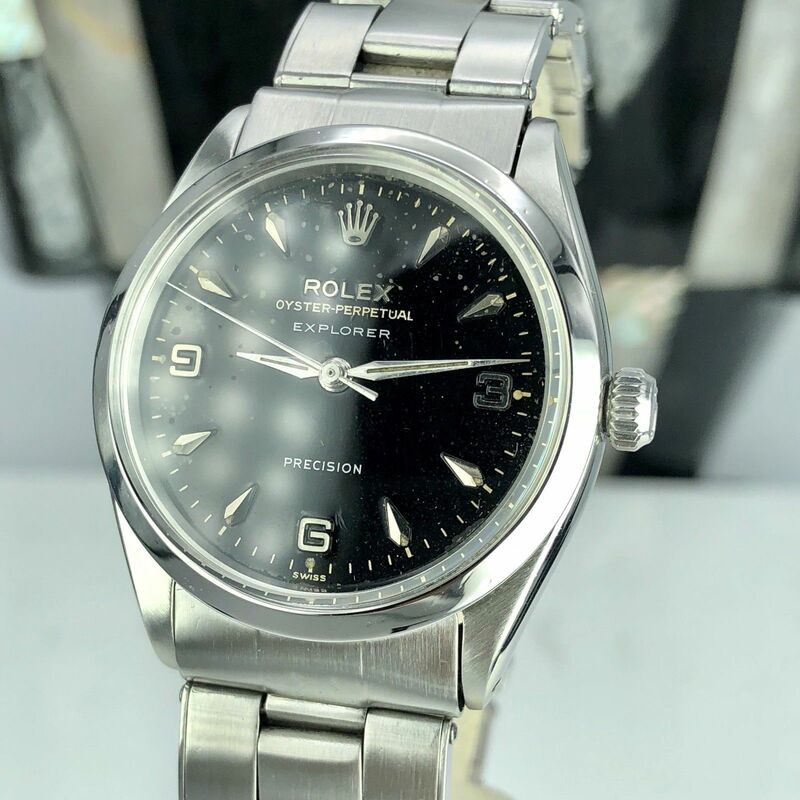 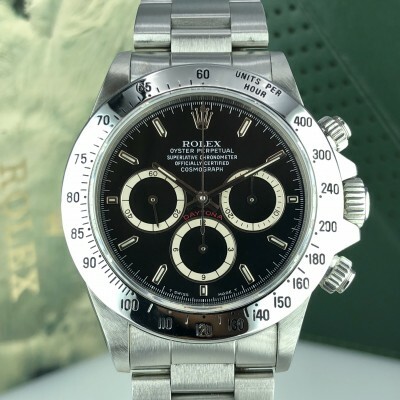 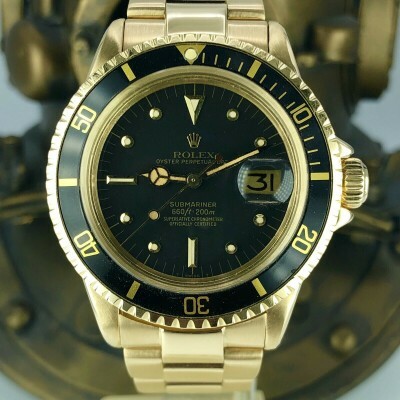 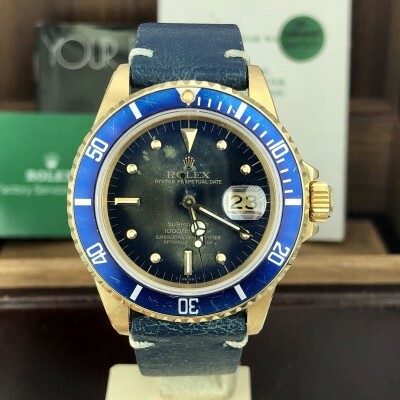 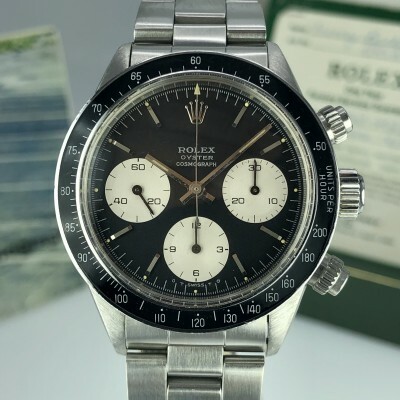 Certified Chronometer automatic 1530 Rolex Caliber . 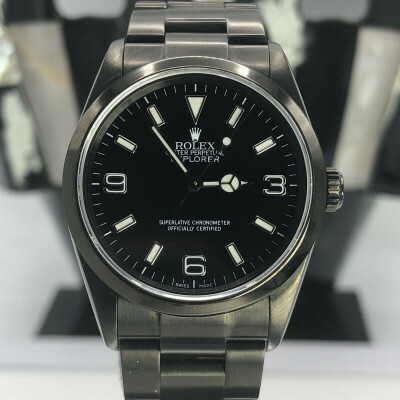 Movement is clean and running.